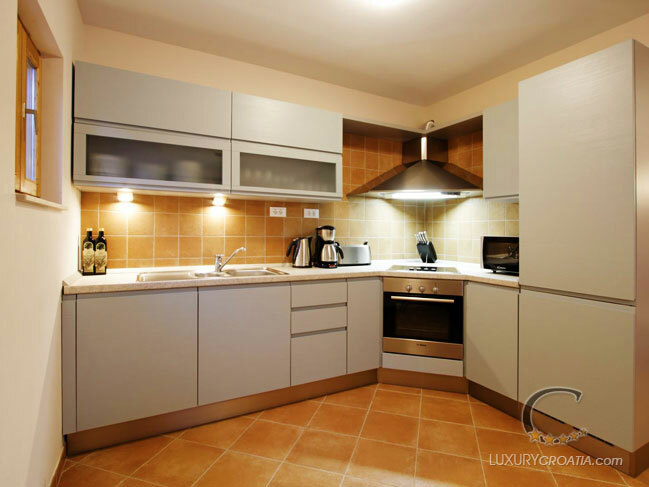 Villa with pool for rent on Hvar island in Split region - Dalmatia This villa is located in the peaceful western part of Hvar town in Dalmatia Croatia with a private garden and outdoor pool. 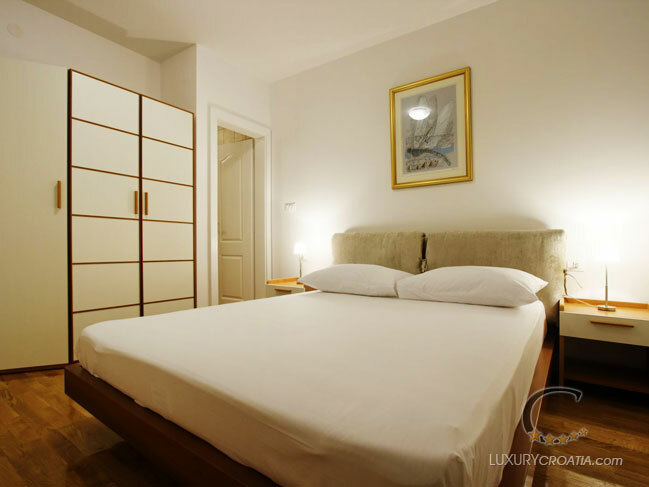 In the peaceful western part of Hvar town are the Hvar vacation villas – four newly-built holiday villas, each with a private garden and outdoor pool. 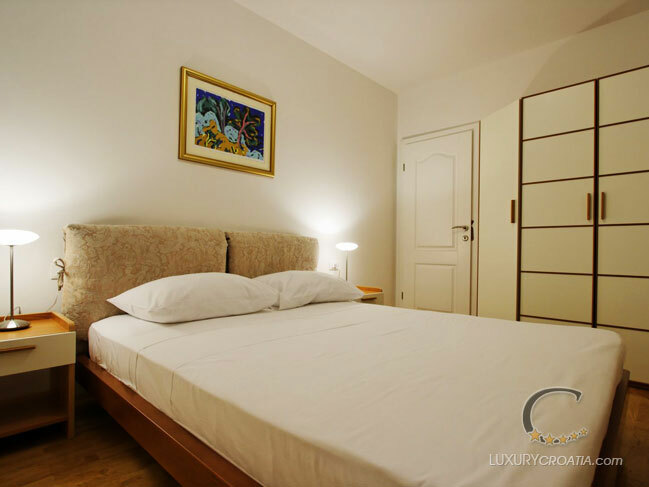 Like four elegant ladies, Hvar holiday villas have been fitted out with the most attractive, modern furniture, yet each is individual. They are named after elegant ladies remembered from childhood, as a permanent reminder of them and their goodness. 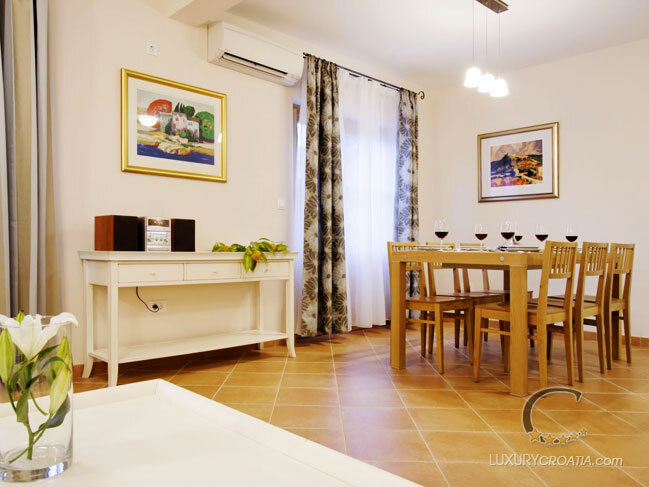 Each of the Hvar vacation villas has two floors and can accommodate eight people comfortably. 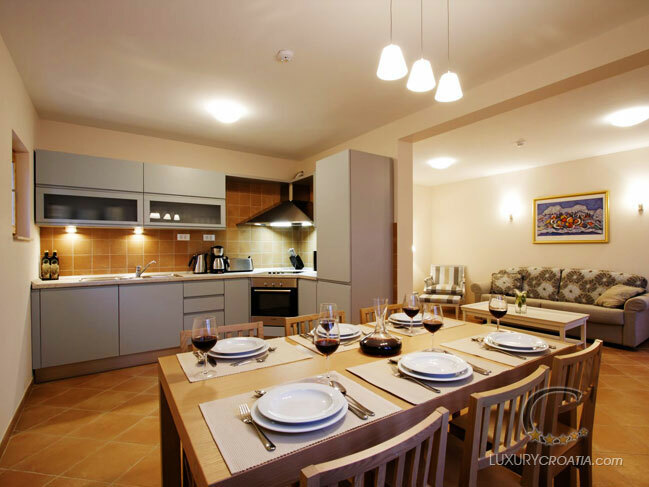 The villas are ideal for family holidays or groups of friends. 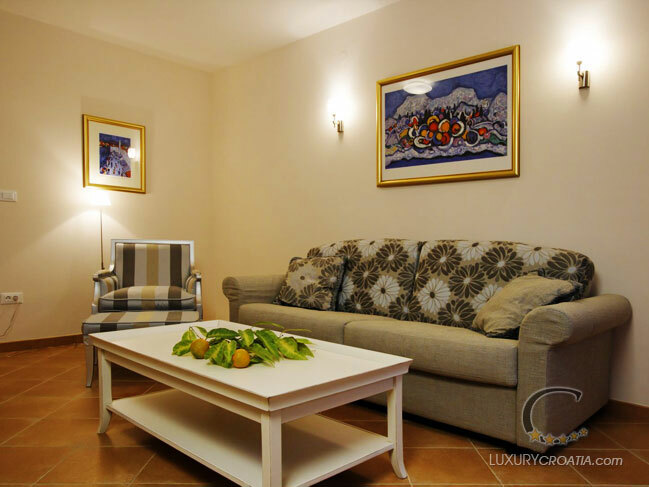 This Dalmatian villa consists of a kitchen/dining area/sitting room, four bedrooms, three bathrooms and a terrace. On the ground floor there is a large, open plan kitchen/dining area/ sitting room, with French windows opening onto the covered part of a private garden with garden furniture, which leads to the private outdoor pool. 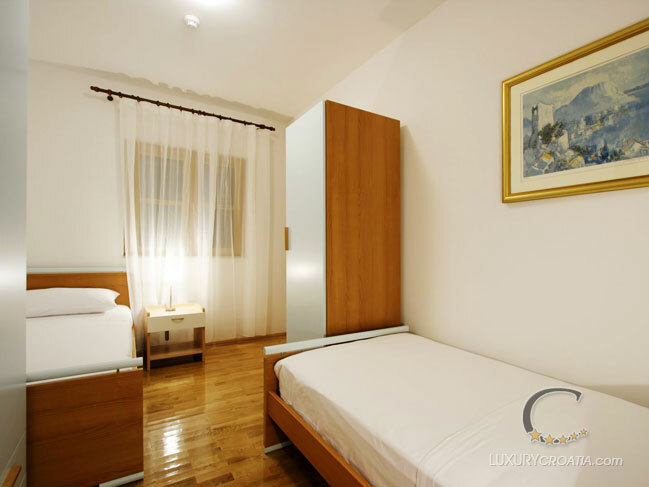 To make your stay as pleasant as possible, the villa has been equipped with air-conditioning, satellite TV, DVD player, Hi-fi, a direct telephone line and Internet connection. To protect your peace and privacy, this villa is only available as a complete unit, with garden and pool.